On February 28, 1943, George Gershwin’s PORGY AND BESS opened on Broadway with Anne Brown and Todd Duncan. Actually, Gershwin’s first version of the opera, running four hours (counting the two intermissions), was performed privately in a concert version in Carnegie Hall, in the fall of 1935. I’ve never seen a Broadway show (although there was a time I held season tickets to the Music Theater of Wichita). In 1943 I wasn’t born yet, so obviously I could not have seen Porgy and Bess on Broadway at that time, but I do like to listen to the songs from this show. As I was learning to play the piano, as well as playing hymns, once in a while I played show tunes. This is one of my favorites, but I admit I like “The King & I” and “South Pacific” too. Oh, who am I kidding? I like all musicals – on Broadway or off. I even like some that are way WAY off-Broadway! Give me a good solid storyline with good solid characters, add a little drama and some snappy music, and I’m hooked! Porgy and Bess is about the residents of the Charleston tenement known as Catfish Row. Nobody is rich by any stretch of the imagination, and everyone is struggling to survive. Porgy is disabled and uses a cart to get around. Bess has dealings with some shady characters, but eventually seeks shelter with Porgy. She knows a good guy when she meets him. Of course, any great show on Broadway is going to be remade on the big screen – and this one definitely made it there – a few times. The most memorable movie starred Dorothy Dandridge, Sidney Poitier, Brock Peters and Sammy Davis, Jr.
Ella Fitzgerald and Louis Armstrong made a recording of the songs from Porgy and Bess in 1957, but it was held and released along with the 1959 movie. It’s truly some of Gershwin’s best work, and with a duo like Fitzgerald and Armstrong, how could it have failed? No way would the album fail. I love that Gershwin used this subject matter and wrote it as an opera. It’s pure genius! I feel the same way about “West Side Story.” I’d describe either show as oxymoronic, theatrically speaking. I wish I had a mind like Gershwin – with enough irony and interest to capture the world long enough to watch a four-hour show. Wow! Sometimes I can’t get folks to read a ten-second poem I’ve written. Sigh. On this day in 1958, the soundtrack album for the musical, “South Pacific” hit #1 and stayed there for 31 weeks! The production won ten Tony Awards, including Best Musical, Best Score and Best Libretto, and it is the only musical production to win Tony Awards in all four acting categories. Its original cast album was the bestselling record of the 1940s, and other recordings of the show have also been popular. The show has enjoyed many successful revivals and tours, spawning a 1958 film and television adaptations. There are a few things that put me in a better mood automatically. Of course, my faith is at the top of the list, but running a close second is my love of show tunes! I not only own the DVD of the movie, but I also have the soundtrack and the (well used) music book! What is your favorite song from “South Pacific”? Mine is “I’m Gonna Wash That Man Right Outta My Hair”. Does your family sing along when you’re watching musicals? That was something my parents encouraged as I grew up – and to this day I sing along! 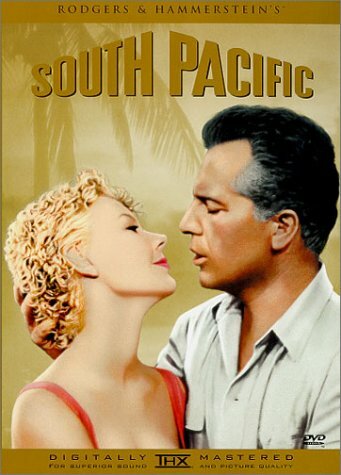 The story for Rodgers and Hammerstein’s “South Pacific” is drawn from a Pulitzer-Prize-winning novel by James A. Michener called “Tales of the South Pacific”, which dealt largely with the issue of racism. The musical opens on a South Pacific island, during World War II, where a naïve young Navy nurse from Arkansas becomes romantically involved with Emile de Becque, a French plantation owner. In spite of the dangers of the ongoing war, Nellie sings to Emile that she is “A Cockeyed Optimist.” And in “Some Enchanted Evening,” Emile recalls fondly their first meeting at an officer’s club dinner. At the same time, the American sailors are growing restless and bored without and combat to keep them active or women to entertain them in their downtime (“There is Nothin’ Like a Dame”). One sailor, Luther Billis, hatches a plan to travel to Bali Ha’i, a nearby island where the French plantation owners are believed to have hidden their women. Meanwhile, a U.S. marine, Lieutenant Joe Cable, arrives on the island undercover on a dangerous spy mission crucial to the outcome of the war. A middle-aged grass skirt seller nicknamed “Bloody Mary,” one of the few women on the island, takes an immediate interest in Cable. Nellie, on the other hand, has been reconsidering her relationship with Emile and decides to break up with him (“I’m Gonna Wash That Man Right Outta My Hair”). However, when she bumps in to him unexpectedly, she realizes she can’t dump him because she’s in love with him. Accepting an invitation to meet all of his friends and associates, she sings “I’m In Love With a Wonderful Guy.” About this time, Cable, who needs to run reconnaissance on a nearby Japanese-held island, approaches Emile for help, but the plantation owner refuses and Cable is told to go on leave until he is able to continue his mission. With nothing else to do, Cable allows Billis to convince him to travel to Bali Ha’i. On the island, Bloody Mary introduces Cable to a young Tonkinese girl, Liat, who turns out to be her daughter. She had been planning a love match, and it turns out to be a successful one as Cable and Liat quickly fall in love. Meanwhile, Emile and Nellie have become engaged, but when she learns that Emile has children with a dark-skinned Polynesian woman, Nellie’s racial prejudice surfaces. As Act II opens, the relationship between Liat and Cable is growing more serious, but like Nellie, Cable exhibits some signs of racism, fearing what his friends and family will think if he marries a dark-skinned woman. When he finally admits that he won’t marry a Vietnamese girl, Bloody Mary is furious and drags her distraught daughter away, swearing that she will marry her off to some other man. Although somewhat aware and ashamed of their bigotry, both Cable and Nellie seem prisoners to their social conditioning and believe that they have no real choice in the matter. Depressed over his rejected proposal, Emile offers to join Cable on his spy mission behind Japanese lines. Confronted by the plantation owner about his prejudices, Cable admits that it’s just how he was raised (“Carefully Taught”). The mission is successful, and the intelligence received results in an American victory and the destruction of Japanese convoys, but Cable is killed in the ensuing battle. Touched by Liat’s grief when she learns of her lover’s death, Nellie, who imagines that Emile has also died, decides to put aside her prejudice and at least learn to love Emile’s children if she can’t have their father. When Emile unexpectedly returns home, Nellie is overjoyed and agrees to marry. I suppose we all have our favorite actors and actresses. Angela Lansbury’s talent has captured and held my attention throughout my life. On this day in 1944 she made her film début in the popular film “Gaslight” at the tender age of 18. This film is a mystery-thriller adapted from Patrick Hamilton’s 1938 play by the same name about a woman who fears that her husband murdered her aunt as she is driven insane. It was directed by George Cukor and starred Ingrid Bergman, Charles Boyer and Joseph Cotton. Lansbury arrived in the U.S. in 1940. She landed the important role of house maid Nancy and absolutely nailed it – it was clear that she was as good an actress as the established stars she worked with, and in fact earned an Academy Award nomination for Actress in a Supporting Role. Even though the movie was made two decades before I was born, the character of Nancy the maid holds my interest. The intrigue and mystery are as intense today as it was the first time I watched it when I was just a little girl. Angela Lansbury has enjoyed much success in her career and at age 89 she is still working on the London stage! She continues to shine as brightly today as she did back in the mid 1940’s. As I write this post I’m enjoying her performance as “Jessica Fletcher” in “Murder, She Wrote”. I have all of the DVD’s and watch them often. It’s LAUGH AND GET RICH DAY!!! Some people do laugh all the way to the bank – we all hold on to the hope that one day we will be able to enjoy what we do for a living, be able to laugh and watch our bank accounts grow by leaps and bounds. Laugh and Get Rich is a 1931 movie – an amusing little tale. I was inches away from saying NO WAY to this writing challenge. It sounded utterly ridiculous and unreasonable. Then as I thought more about it, I realized that sometimes riches are not measured in dollars. I don’t receive money when I laugh, do you? Maybe a stand-up comedian does because they make others laugh for a living, but most of us are not financially compensated for laughing. Well that’s why I’m not wealthy – I don’t know how to laugh like that. I’m glad someone explained it to me – wink! 😉 To be honest, a Scripture popped into my mind as I was watching that – Ecclesiastes 7:6. OK – back to reality. The thought of hope kept coming back to me. Where does that hope come from? It comes from God. We pray that God will improve our circumstances and give us a happier countenance as we go through life. 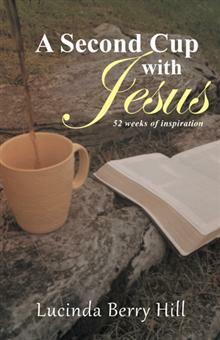 He helps us every day whether it is through education, promotion, or direct inspiration. It’s very sad when people think they have achieved these things by themselves – they refer to themselves as “self-made” when they are being molded into what God wants them to be. If you have a gift or talent for something, that came from God. You may have had to take classes to hone it, but the basic gift is from God. In this day and age, laughing is not heard as much as it used to be. There are terrorists running around committing horrible acts, showing no mercy whatsoever. They cannot be reasoned with and there is talk that it could come to our country. Yes, I know God has this in His control – but I’m not laughing and it is scary. Every day I pray for a speedy end to this threat. When we find ourselves laughing at something these days, we should count it as a blessing. Maybe the fact that we’re laughing at all is the reward. Maybe those moments that we are happy ARE the reward. No, we don’t laugh all the way to the bank, but God gives us a reason to smile and laugh and be happy. That is good enough for me. Well – it is Christmas Eve 2014! Everyone has their own traditions, but this year I highly recommend you include this movie in your plans. This movie is my pick for sure – Marlo Thomas is one of my favorites! The charitable work her father started and she has taken over is so heart-touching. This movie is a bit of a tear-jerker, but I believe a good Christmas movie usually is, don’t you? This film is from 1977, but has always touched my heart. It’s a retelling of the great movie, “It’s a Wonderful Life”. Of course we remember that the birth of our Lord and Savior Jesus Christ is the real REASON FOR THE SEASON, but at the same time, we need to take some time to relax and enjoy a good movie that helps us open our hearts. There’s nothing to put life into real perspective like a classic Christmas tale. If you are looking for a perfect Christmas gift, may I suggest a new devotional book by Lucinda Berry Hill? Everyone needs a new devotional book to begin the new year!